He excelled in every musical genre… He is familiarly known as the ‘father of the symphony’ and could with greater justice be thus regarded for the string quartet; no other composer approaches his combination of productivity, quality and historical importance in these genres. So…. If we’re talking symphonies (or string quartets or piano sonatas or concertos or anything else, really, but especially symphonies and string quartets but for now symphonies), you can’t not talk about Franz Josef Haydn, and up until now, I haven’t. I’ve managed to get most of the way through Mahler’s symphonies, a chunk of Prokofiev’s, most of Mozart’s early symphonies, and touched on many others, but we haven’t even mentioned the ‘father of the symphony.’ And we are going to take a small step toward fixing that. The second is a more permanent problem, and it’s that no matter how you slice it, there’s just a ton of these works. Over 100 symphonies, more than 60 string quartets, aside from all the piano works and everything else. It’s just a lot of music. The same can be said for Mozart, just not to the same degree as with Haydn. That being said, I deliberated for a long while as to how to approach these works. I thought about doing them individually, one a week, in a weekly Wednesday series (Humpday Haydn anyone?) but felt like the earlier few dozen would be…. Tedious to address one at a time. And it’s a series that would or could last for exactly two years (if you stick with that 104 number). I have chatted with some folks and was advised that that approach may be a bit too…. Boring. I haven’t really decided exactly how to proceed after this point, but taking a bite out of the 104 symphonies by handling the first five is a step in the right direction. We’ll be using the recordings from the Austro-Hungarian Haydn orchestra under Adam Fischer for these first five symphonies (and the series, if and when I decide to kick off a weekly feature). Does that make sense to people? Shakespeare did a lot for the English language. It of course existed before his time, but he certainly provided a springboard to make it overwhelmingly famous. perspective, these symphonies range between 9 minutes (number two) and 18 minutes (number five), so together, the five of them equal about the length of a single Mahler symphony, like the fifth, sixth, seventh, eighth, etc. The long ones. So while we’re going to burn through five symphonies this week, the actual material we are covering isn’t unreasonable at all. If you want a biography of the man himself, you should just read the Wikipedia article on Haydn. I’m not going to regurgitate it here. What I will do is share some things I find interesting about him/it. He started his life in what was apparently a musically inclined but not professionally musical family. His parents apparently loved singing and took part in folk music and such but couldn’t read music. They recognized his musical aptitude from quite a young age, and sent him off to study music in a more conducive environment with a family member, one Johann Matthias Frankh, schoolmaster and choirmaster about 12 kilometers from his home. This is not any overwhelmingly large distance, however when you consider that upon moving 12 kilometers away from home, he never again lived with his parents, it’s quite a milestone. Little Haydn was only six years old. Somewhat shockingly, perhaps, what he did not have a great deal of for the first decade and a half of his life was apparently food. He was apparently often very hungry (and dirty) in Frankh’s care, and the situation didn’t much improve at the cathedral. It is said that Haydn often worked hard at his performances so he could be invited to fancier affairs before aristocratic audiences, since they served refreshments. Poor kid. Anyway, he was eventually caned and kicked out of the cathedral for snipping off another chorister’s pony tail, at which point he became a freelancer. He brushed up on the little musical training he’d gotten at the cathedral by studying Fux’s book on counterpoint and the work of C.P.E. Bach, and eventually started gaining attention. He got his first big break with aristocratic patronage with one Countess Thun, who hired him as her singing and keyboard teacher. After writing his first string quartets under the patronage of Baron Carl Josef Fürnberg in 1756, he got his first full-time job under Count Morzin. He apparently was music director, taking on duties with conducting, and even wrote his first symphonies here. This is what I find most interesting: the background and upbringing of the man who had perhaps the greatest influence on classical music, or one of the most important names in the Classical era, who established traditions and tutelage that have continued to influence music in the more than 200 years after his death. Webster writes: “As regards money, Haydn was so self-interested as to shock [both] contemporaries and many later authorities …. He always attempted to maximize his income, whether by negotiating the right to sell his music outside the Esterházy court, driving hard bargains with publishers or selling his works three and four times over; he regularly engaged in ‘sharp practice’ and occasionally in outright fraud. When crossed in business relations, he reacted angrily.” Webster notes that Haydn’s ruthlessness in business might be viewed more sympathetically in light of his struggles with poverty during his years as a freelancer – and that outside of the world of business, in dealings, for example, with relatives and servants and in volunteering his services for charitable concerts, Haydn was a generous man. I can see how that would be so. In any case, back to his influence. Haydn was a friend of Mozart, and the men apparently greatly respected one another, even having played (apparently) in some string quartets together. Mozart dedicated his ‘Haydn quartets,’ to him. He also met Beethoven in London on his way to Bonn in 1790 (at the earliest), but it seems Beethoven was less enthused about his tutelage under who would be his most famous or well-respected teacher. He even claimed he learned nothing from Haydn, and was unimpressed when Haydn suggested he include ‘pupil of Haydn’ in the liner notes (or something) of Beethoven’s op. 1. It seems he may not have liked Haydn very much, but didn’t have much liberty to express it, if that was the case, considering Haydn’s reputation in Vienna. They apparently remained on pretty good terms into Haydn’s later years and even up to the latter’s death, with Beethoven having expressed regarding him as equals to Mozart and Bach. Rightly so. Anyway… There is so much to talk about: Haydn’s treatment of form and structure in the symphony or string quartet, his development of thematic material, his insane amount of published work, his time in London, the prevalence of humor and general ‘cheeriness’ in his work that reflects his general happy, easygoing nature and successful career, unlike the careers of many who would come out of Austria after him, marked with tragedy. The string quartet form is credited to Haydn, as well as the symphony in its modern formal construction. I love the description of the challenges and pure artistry of the string quartet in the Wikipedia article that addresses it. It seems only right that a man like Haydn would not just write over 60 of these works, but be the one to have invented the very form. 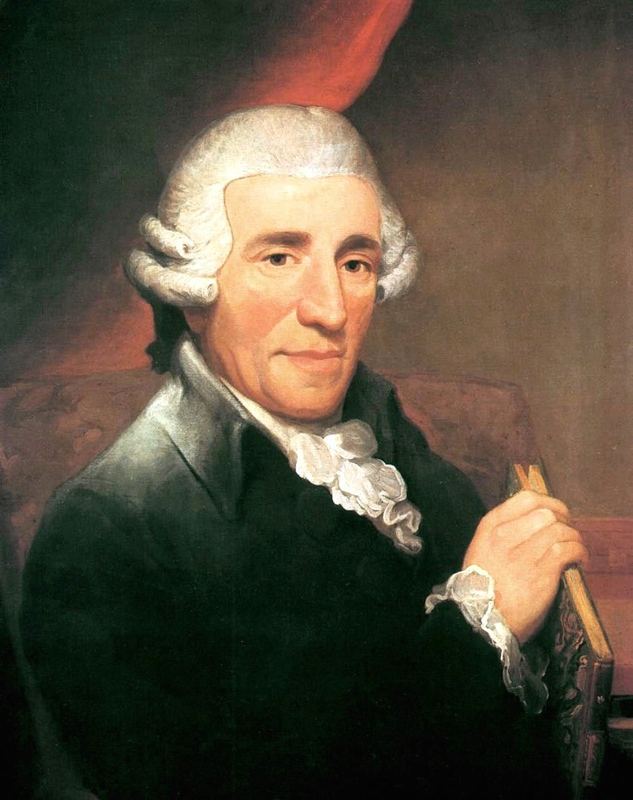 The credit to Haydn for being the father of the string quartet is even stronger than that of the symphony. Both forms had had some nebulous existence prior to his time, but they both got their big breaks in his works. It’s kind of like…. That being the case, it is only fair that we should be talking about this man’s works more than we have. As a result, starting tomorrow, we will finally begin addressing his symphonies. What you may or may not know about his catalogue is that it’s a mess (in some places). We’re going to begin with his earliest symphonies, corresponding as closely as possible to date of each day in June (first symphony on 6/1, etc. ), so stay tuned. We’ll have six in this batch, and it’ll be some time before we get around to others, but it’s a good start. Stay tuned!